There are three ways in which companies can register with the Scheme: Site Registration, Company Registration and Supplier Registration. The Code of Considerate Practice commits those sites and companies registered with the Scheme to care about appearance, respect the community, protect the environment, secure everyone’s safety and value their workforce. Through the monitoring of registered sites, companies and suppliers, and the displaying of posters around the construction site, promoting registration with the Scheme. 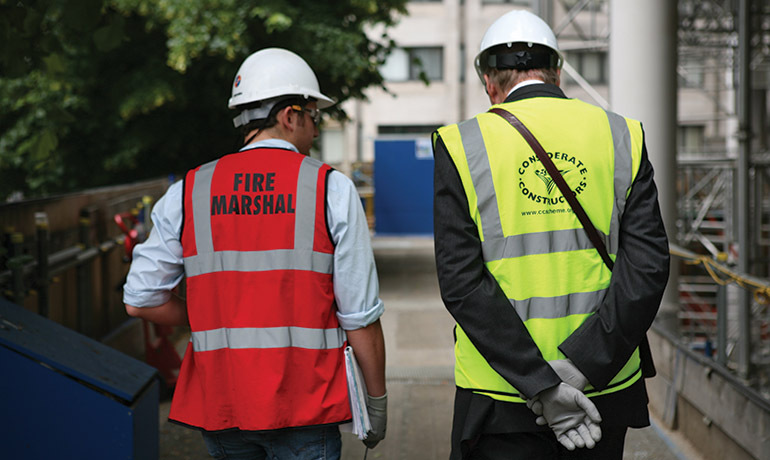 If passers-by wish to comment, the name and telephone number of the site manager or company contact is clearly displayed, alongside the freephone telephone number of the Scheme’s administration office. Registered companies also display a vehicle sticker or magnet, showing their unique registration number, on every company and supplier vehicle used on the public highway.